Allan Leonard Hiebert: churchman and entrepreneur; born 10 February 1927 in Swalwell, Alberta, to Peter Hiebert (3 June 1896 – 12 September 1961, Didsbury, Alberta) and Elizabeth (Dyck) Hiebert (18 November 1893 – 14 March 1986). He was the eldest of three children. On 30 December 1947 Allan married Elizabeth Harder (1 May 1926 – 5 April 2013, Abbotsford, British Columbia), daughter of Heinrich Johann Harder (1880-1927) and Margarete (Goetz) Harder (1887-1969), in Didsbury, Alberta. Allan and Elizabeth raised five children: three sons and two daughters. Allan died Monday, 12 May 2008 in Abbotsford, British Columbia. Allan Hiebert grew up in Didsbury, Alberta, where he also lived while he worked with his father building barns and mobile homes. He attended Menno Bible Institute in Didsbury from 1945 to 1947; it was here that he met Elizabeth. After marriage he continued working with his father in a cabinet factory. He was baptized in 1945 at Bergthal Mennonite Church in Didsbury. In 1950 Allan and Elizabeth made their home in Calgary, where in 1962 he established Calgary Millwork, a woodworking business that he operated with considerable success for 18 years. In 1980 he and Elizabeth moved to Abbotsford, British Columbia to enter semi-retirement. Allan Hiebert possessed natural woodworking and "handyman" skills, which he honed at the Southern Alberta Institute of Technology in Calgary. He had an aptitude for repairing practically anything; he was driven by a passion for hard work and a capacity to take on any home repair or large construction project with unusual confidence and determination. He delighted in using his skills to make toys for his children and grandchildren, stimulating them to pursue their own life goals with similar vigor, and to be frugal and generous. Allan’s life was marked by natural leadership skills and generosity; he freely volunteered his skills and resources. In Alberta he was instrumental in helping to build Foothills Mennonite Church, where he and his wife were charter members, providing devoted leadership in a variety of capacities; Allan served as deacon, congregational chair, Sunday school instructor, and worship leader. Allan, in addition, was involved in planning and contributing to the construction of the Mennonite Conference-operated Camp Valaqua in Water Valley, Alberta, and a new Mennonite Central Committee (MCC) Alberta office complex. After his move to Abbotsford, Allan and Elizabeth became members of Olivet Mennonite Church. In keeping with his commitment to service, Allan became involved in the planning and construction at Camp Squeah near Hope, British Columbia, and in the construction of a new dormitory at Columbia Bible College in Abbotsford, for which he also donated and installed the furniture. As a member of the Clearbrook Golden Age Society board, he inspired a vision for a senior’s centre in Abbotsford, resulting in the construction of Garden Park Tower, a residential and business complex. During construction and the first years of operations, he served as board chair. In all his endeavours Allan Hiebert demonstrated his ability to merge vision and determination for the well-being of the community. With the completion of Garden Park Tower, the Clearbrook Golden Age Society honoured Allan Hiebert by designating the Allan Hiebert Board Room. In 1999 his voluntary and practical contributions resulted in his being honoured with the International Year of Older Persons Award, presented by the Abbotsford Association for Healthy Aging. Throughout his life, Allan Hiebert consistently modelled a strong faith in God that was reflected in dedicated Christian service. In addition to his myriad "hands-on" involvements, Allan was also a generous supporter of Mennonite Central Committee and Mennonite Economic Development Associates (MEDA), as well as other church-based institutions. While in Alberta he had a founding role in establishing a local MEDA chapter. Thiessen, Bill. "Hiebert, Allan L. (1927-2008)." Global Anabaptist Mennonite Encyclopedia Online. June 2017. Web. 23 Apr 2019. http://gameo.org/index.php?title=Hiebert,_Allan_L._(1927-2008)&oldid=149056. Thiessen, Bill. (June 2017). 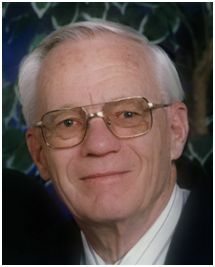 Hiebert, Allan L. (1927-2008). Global Anabaptist Mennonite Encyclopedia Online. Retrieved 23 April 2019, from http://gameo.org/index.php?title=Hiebert,_Allan_L._(1927-2008)&oldid=149056. This page was last modified on 16 July 2017, at 02:39.